On Saturday, January 19, 2019, 21 Detroit PAL participants and their parents braved the snowy weather to join us at the Boysville Gym for the Jr. NBA Skills Challenge, hosted by Detroit PAL Recreational Basketball, presented by Under Armour. The Detroit PAL Basketball program is sponsored by the Detroit Pistons. The Jr. NBA Skills Challenge is comprised of three levels of competition: local, regional, and national. Each participant displays their basketball skills by competing in a 60 second challenge to showcase their abilities in dribbling and shooting. Participants are broken up into boys and girls and age groups 11 under and 13 under. To start the competition, participants start in a designated spot and zig-zag dribble through several cones. Then, they speed dribble to designated shooting spots on each side of the court. Participants can shoot from either side, and then must rebound their shot and dribble to, and shoot from, the opposite side of the court. Participants must make as many shots as they can in the 60 second allotted, and then shoot for one free throw for a chance at another point at the end of their 60 seconds. Of Detroit PAL’s 21 participants, 10 of these youth have earned their way to the regional competition, where they will be able to showcase their skills and abilities in basketball on a larger scale. Detroit PAL would like to congratulate those youth who will be advancing to the next round! After the competition, Richard Woods Jr., second place winner for boys 11 under, said participating in Detroit PAL Recreational Basketball changed his life by allowing him to gain confidence. “I first learned about how great I can be at basketball. I feel that it feels great, it changed my life a lot.” Woods Jr. also participated in Detroit PAL Little Hooper program. “It was great for me (the experience of being in the Little Hooper program). I got to learn the fundamentals of basketball. I learned how to dribble, how to fix my form in shooting, also they taught me how to feel confident in myself,” he said. 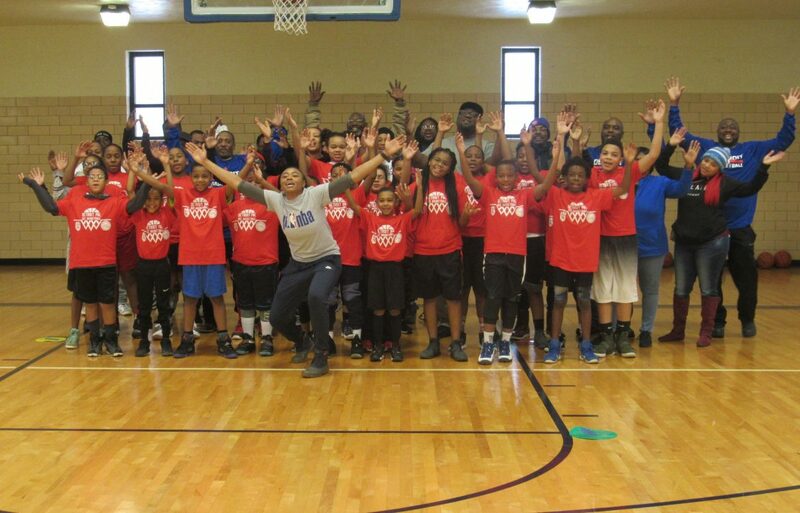 These are the goals of Detroit PAL’s Little Hooper and Recreational Basketball programs: to teach the fundamentals of basketball, help participants gain confidence in their abilities, and prepare them to play at higher levels of basketball. Through teaching these fundamentals to our youth, it has allowed them to be successful in the Jr. NBA Skills Challenge and helps prepare them for junior high and high school basketball. Each of our youths that have advanced to regionals will have the chance to earn their spot at the Jr. NBA Skills National Championship in June of this year. The champion for each group at regionals will receive a paid trip to New York City for the national competition and NBA Draft. Congratulations again to all of our winners, and thank you to all of our participants and their families for braving the weather to join us on Saturday! We wish our participants advancing to the regional competition the best of luck!